CallRail’s legacy integration with Salesforce reports phone calls to your Salesforce account. When CallRail sends leads to Salesforce, we’ll automatically prevent creating duplicate leads for calls received from the same caller within a 30-day period. This integration is deprecated as of August 2016. In August 2016, CallRail released a new version of our Salesforce integration. This new version allows for greater customization of your leads, campaigns, and activities within Salesforce. Read this article to learn the benefits of the latest Salesforce integration and how to update your account. If your Salesforce integration was set up prior to August 2016, it’s likely configured as the Salesforce Legacy integration outlined in this article. If you created your CallRail account after this date, this version of CallRail’s Salesforce integration is no longer available. 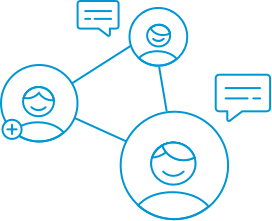 CallRail’s integration with Salesforce is company-dependent in your account. Follow the instructions below for each company whose Salesforce legacy integration you’d like to edit. Choose the company whose Salesforce Legacy integration you'd like to update. Choose Salesforce Legacy from the list of available integrations. Edit your Salesforce Organization ID, Campaign ID, or Campaign Member Status. Check the boxes if you’d like to include State and/or Country Abbreviations. If you’d like for this information to appear in Salesforce, State and Country Picklists will need to be enabled in your Salesforce account. Here’s how to enable Picklists in Salesforce. Click Save to update your integration. Phone calls to your tracking numbers will appear in Salesforce as a lead. CallRail will automatically prevent creating duplicate leads in Salesforce.com for calls from the same caller within a 30-day period. Click on one of your leads to see additional lead details. You can also activate the description field in Salesforce to see additional details about your callers, including call length, source, keyword, referrer, landing page, and a link to the call in CallRail. Follow the instructions below to learn how to add the description field to your lead detail page. In your Salesforce account, select Setup. On the sidebar under Build, select Customize. Under Customize, click Leads, then click Page Layout. From the Lead Layout box, click and drag Description to the location where you’d like for it to appear on your lead page. Disabling a company's Salesforce Legacy integration will prevent your call data from reporting to your Salesforce account. If you'd like to integrate with Salesforce again in the future, you'll use our latest version of our Salesforce integration. Choose INTEGRATION from the list of integrations.